Designed with the finest 100% Cotton Jersey knit with brushed finishing. 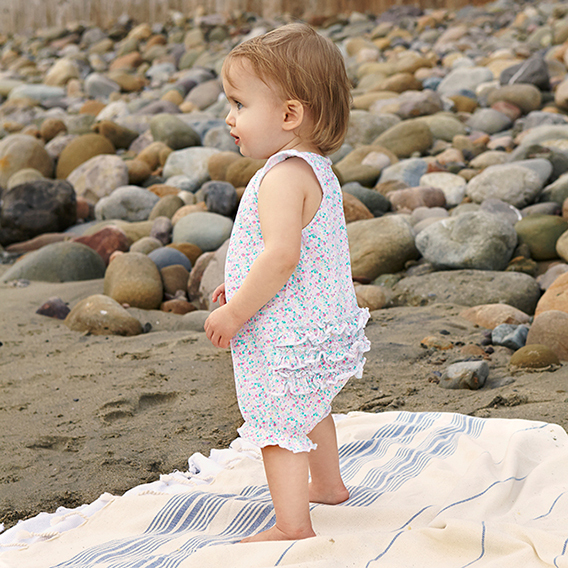 Our bouquet of florals adorns this playful sunsuit which is inspired by California fields of wild flowers. It has a crewneck with back button closure and petal sleeves. .